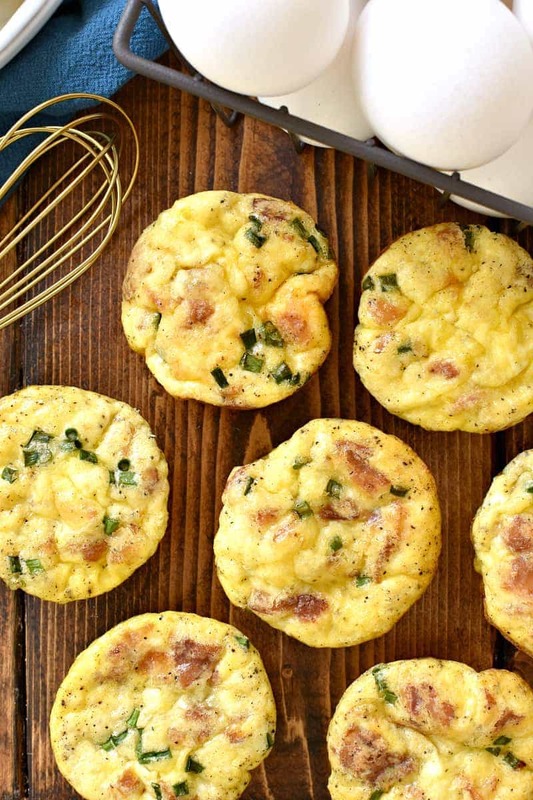 These Breakfast Egg Muffins are loaded with all your breakfast favorites! 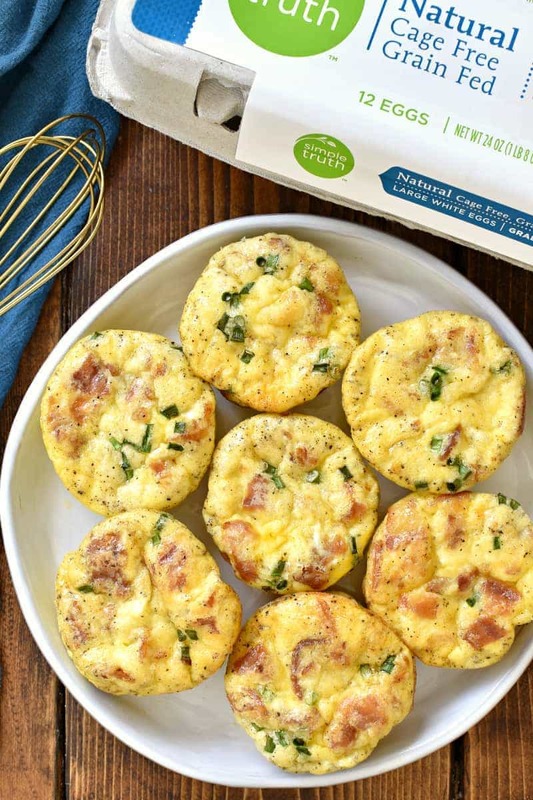 Perfect for busy mornings, weekend brunch, or even holidays….these egg muffins come together quickly and are sure to be a hit! I’ve never really been much of a morning person. Which, as a mom, is an interesting place to be. Because my kids, like most kids, are early risers. Meaning I’m regularly trying to convince them to give me just a little more time in bed. And believe it or not, up to this point my convincing has actually worked. But this year? It’s all different. Because this year I have a middle schooler, who’s up every morning before 6 am. And even though she’s fairly self sufficient, she is only eleven. And so she’s been waking me up….daily….to help her pack a lunch. I know, I know. I’ve been spoiled all these years. And I’m not really complaining…..because she is, after all, only eleven. And ever since I started making these Breakfast Egg Muffins? She’s been taking care of everything besides her lunch. Clearly these Breakfast Egg Muffins are the BEST decision I’ve made in a long time. 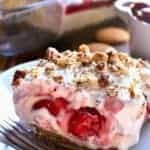 I can make a batch or two on Sunday night, and they’ll last us the whole week! 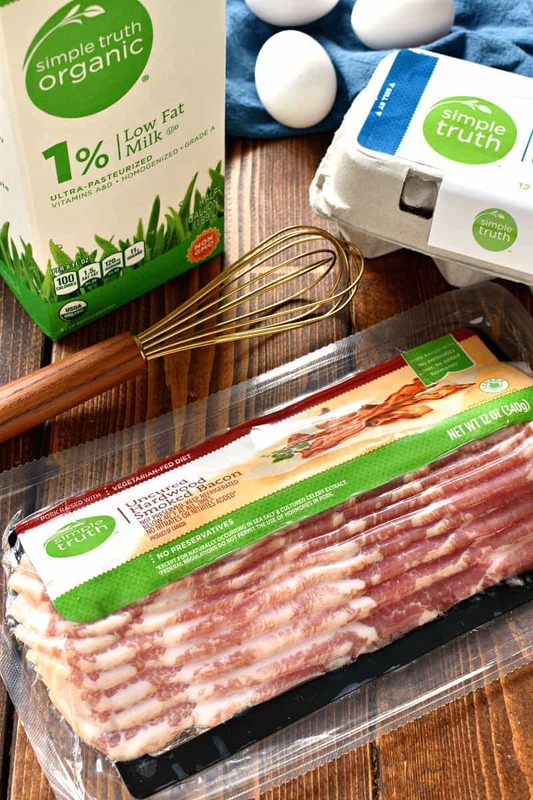 They’re the perfect grab & go breakfast….and a breakfast I feel GREAT about feeding my kids. Not only are they super delicious and protein-packed, but when they’re made with Simple Truth products from Pick ‘n Save, I know my kids are getting all the good stuff without any of the bad. I’ve fallen in love with the Simple Truth line, and once you try it, I’m sure you will too! 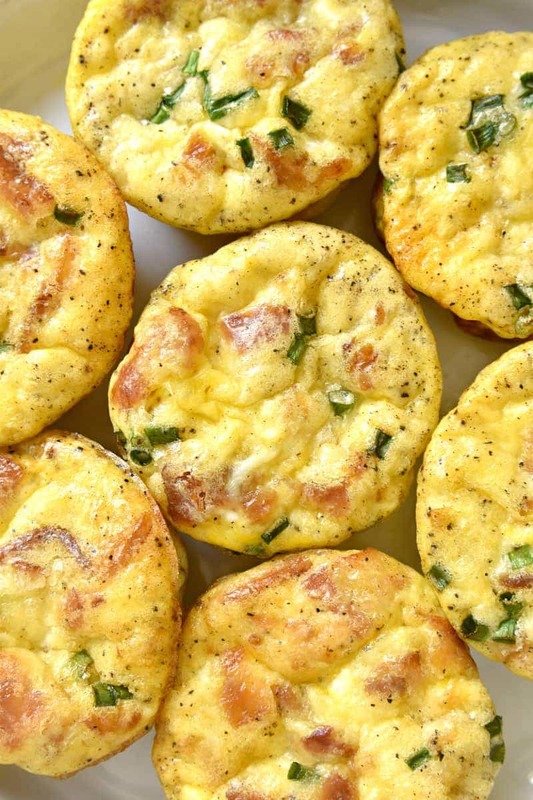 Just like these Breakfast Egg Muffins. Once you try them, there’s no way to NOT love them. They’re quick, easy, and so flavorful. And you know what? They’re honestly making my mornings better. Because ever since I’ve been waking up to make Ellia a lunch, I’ve realized mornings aren’t actually that bad. Especially when I have my coffee in one hand and a Breakfast Egg Muffin in the other. And I guarantee my kids feel the exact same way. 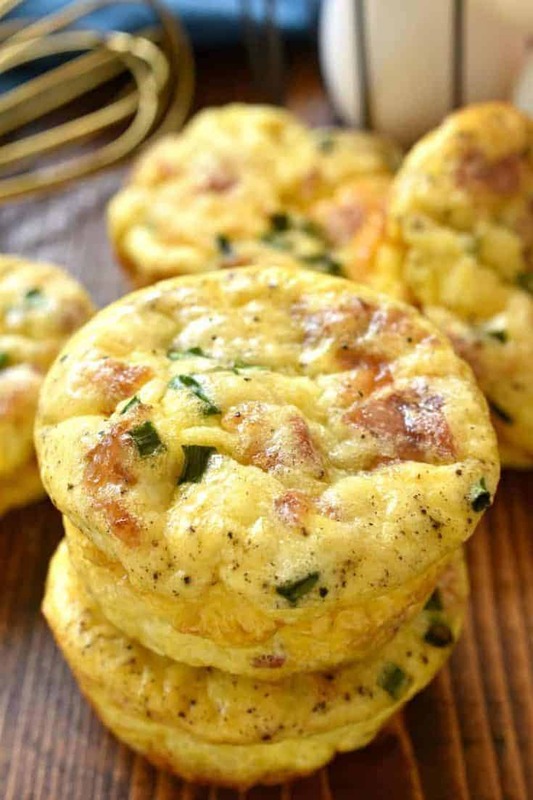 These Breakfast Egg Muffins are loaded with all your breakfast favorites! 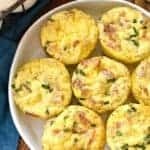 Perfect for busy mornings, weekend brunch, or even holidays....these egg muffins come together quickly and are sure to be a hit! In a large glass mixing bowl, combine eggs and milk and whisk well. Stir in 3/4 c. cheese, cooked bacon, salt, and pepper. Divide mixture evenly among 12 greased muffin cups. Sprinkle with remaining 1/4 c. cheese and fresh chives. Bake at 375 degrees for 20 minutes or until centers are set and muffins are beginning to brown. Gorgeous! I love egg muffin recipes! How well do the freeze and then re-heat? I’ve made similar things before and they freeze and reheat quite well. How and for how long do you reheat them. Do you store them in the freezer of fridge??? I was a bit disappointed! They were yummy when they first came out of the oven but when I strapped and stored them in the frig, I wasn’t pleased with the way they reheated. They were tough and a bit dry. I was hoping for something I could store and pull out when I wanted a couple. Any ideas? I’ve tried making these twice and they swell up and balloon out of the muffin cups. Maybe my oven is too hot? Cook less time? When they cool and settle they are misshapen and don’t look nice like in the pictures here. Maybe the mixture starts too cold. That happens with baking. If it’s closer to room temp, maybe it might not swell too much. That’s what I’ve learned over time. Also, sometimes the muffin tin cups are too full. Maybe you can get more than one tray out of it? too much egg.. the eggs need room to expand. Oh I’m totally making these, and soon! Great idea! I’m 72 and find it hard to take the time to fix a breakfast often skipping it and stuffing lunch or supper later. Makes staying on a diet a hope instead of a reality. With your egg muffins I can grab and go with a stable breakfast without a worry. Thanks for the tip! I am in a meal prep phase right now. This is exactly what I needed! Same! Although I only learned meal prepers were a thing. I love a good portable breakfast option! Such a perfect grab-n-go breakfast option! Hi, how’s best to reheat these tasty looking morsels please? Oven or microwave? Would these be ok after freezing? These never last me long enough to freeze. But I’m not sure because of the milk. Probably be ok.
Exchange the milk with cream then go ahead and freeze. Make sure the air is out of the bag before freezing. For things like this it’s good to wrap in plastic wrap individually, then freeze them in a freezer zip-lock. Works great! How do u re-heat them? Oven or microwave? And how long? It works best to reheat them in the microwave for 15-20 seconds. Is it really necessary to use water rather than milk if they will be frozen ? After defrosting in frig. Overbite… is oven or microwave better. Not sure why there is a hesitancy to freeze the recipe with milk. Freezing stops the aging so it won’t sour. My mother use to freeze milk in it’s carton when we left on vacation. Then she would put it back in the refrigerator when we returne and once defrosted it was just like it had never been frozen. I make one that is similar but with added browned hash browns and freeze all the time. Would love 2 have ur recipe! We love hash browns! I reheat in microwave. About 15 seconds. A minute in the microwave wrapped in a damp paper towel will do the trick. I’ve made these and also similar ones. If frozen, I pop into microwave 1 min. to 65 seconds. Have also cut cooked bacon in half and cross crossed in muffin pan before filling. Can add chopped peppers or cooked sausage too. microwave. start at 40 to 45 seconds. unless frizen then you want to start at a minute and just add time if not fully rreheated. These are so cute and tasty! Need to try them! I have something similar several times and my family loves it. I think it is time to do them again. Your recipe looks awesome. When I had gestational diabetes j ate a version if these every morning. They were one.of the few breakfast items I could rat and keep my b.s. low!! 2 each am for months!! I’m a severe diabetic, with triglyceride issues. 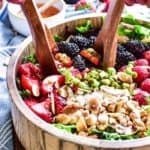 Can you please post or email the nutritional values for this recipe…specifically need carbs, calories, sodium, total fat & trans/saturated/hydrogenated fat grams? It looks wonderful, with none of the usual high carb ingredients, but I have to chart everything. Would love to add this as a low carb breakfast alternative, if the fats are not too high. Thanks for any info on this…they look tasty & super easy. P.S. – I’d rate this recipe 5 stars, but it wouldn’t let me rate it at all. Thank you so much for posting the nutritional facts. This will help me with my diabetes control. Yes turkey bacon does have less fat than pork bacon, or you could use lox (smoked salmon trim) or another kind of fish or poultry. P.S. – almost forgot…need cholesterol values also…thanks. When you make it there will be carbs listen on the milk container. The eggs cheese and bacon are 0 carbs unless you use a flavored bacon or a flavored cheese. 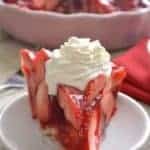 Do you refrigerate or freeze the extras & if so how and how long in microwave? Do you need to wrap them in a wet paper towel than zip lock bag , then pop into microwave ? Please reply, would like to know. Is it safe to freeze? And how do you reheat? 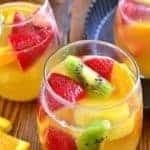 These look great and easy for my kids and I. They refrigerate and freeze well; wrapping them in a wet paper towel is a great way to go. From refrigerated, I would reheat 15-20 seconds. Looks like there is only 4 grams of carbs but you get to minus the 1 gram of fiber so that would be a total of 3 grams per muffin.. I have done low/no carb diet for years so I pretty much know what I am talking about..
How long can these be stored and how long to reheat in the microwave? Can I substitute almond or cashew milk for the milk? Have you tried baking these in the microwave? I have a silicone muffin pan and was wondering if it would work in microwave. If it does, it would be a great recipe for kids away at college or uni cooking in a dorm room. I haven’t tried them in the microwave, but I do think that would work! Curious to know if these are stored in the fridge or freezer. How long can they be kept in the fridge/freezer? These look fantastic! I, too, am wondering if they could be made in the microwave in the silicone pan. I have a grand in college. She isn’t able to cook like when she is home and these would be a great grab and go for her. I’ve never tried them in the microwave but I do think that would work! Just not sure on cook time. I am no great cook, trust me. I am simply a 37 year old guy who is loving what Keto is doing for me. I also freaking love food and anything carb-like. Wondering if adding almond flour or something else to this would do anything or make them more like a real muffin? Anything that makes me feel like I am cheating is a plus for me. – making them “as is” now and this question came to mind. update from Muffin Boy – these are great without the almond flour I was asking about. I am obsessed and it makes mornings easier with our busy schedules. Thanks! Happy to hear it, Adam! Thanks for the update! How do these turn out and taste made with egg beaters? I’ve never tried them with egg beaters. If you give them a try, please let me know! 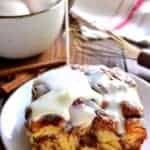 What does the c stand for in the recipe, 1/3 c of milk ? I would take all the ingredients you listed total them up individually and divide each of those totals into 12. I’m diabetic too, doesn’t look like it’ll be big on carbs. Protein is what you need to be careful of because of our kidneys. This looks like the perfect dish to bring for my bible study brunches! Can you use egg substitute? I’ve never tried these with egg substitute, but I don’t see why not! Gonna try this, I boiled water one time and it turned out pretty good, so time to try something else. I make these all the time! Usually I throw in some spinach leaves and diced bell pepper. Also good if you sub sausage for the bacon. They’re good in the fridge for up to five days, but most of the time, they don’t last that long in my house. Reheat 15-20 seconds in the microwave and serve on a toasted English muffin for a nice on the go breakfast sandwich. I saw this recipe this morning and decided to try it. I halved it and used sharp cheddar and freeze dried chives because that’s what I had on hand. I used a 12 cup muffin, filled half with the egg mixture and the other half with frozen Pillsbury Buttermilk Biscuits. Really enjoyed the results. I baked for 20 min, will try 18 next time. I am already thinking of variations. What is everyone talking about. I threw them in the garbage. Why? What did you dislike about them? And did you follow the recipe as written? 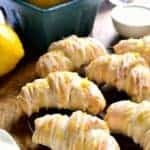 These will be great for holiday family brunch! Thanks. These work well cooked in an electric pressure cooker too! Silicon cupcake holders, 5 minutes on high pressure, quick release. I can’t measure out 6 oz of bacon so do you know about many strips of bacon you used? Also, Krystina C, I looked it up and it said that 1 strip of bacon was about 3/4 of an oz, so I just used 6 strips . What is 1/3c in metric Please? Made these for my parents as a breakfast in bed sorta thing – they loved them! Thanks so much for the great idea! I have been making variations of this for years…….from making in a pie dish to individual soufflé cups. You can substitute so many ingredients! I like to add a couple of tablespoons of plain greek yogurt such as Fage to the egg mixture, it gives a lighter texture. I have also added frozen hash browns, sausage, scallions, any number of additions depending on what you have on hand. It’s a very forgiving recipe. I cook mine for 18-20 min in individuals soufflé cups. Why do you mention all the ingredients from the one place? Is this for ad revenue? ok mine turned out awful..what did I do wrong?? I put the bacon and sausage in the bottom and put the cheese in the egg mixture..how full do you fill the muffin tins? Mine came out of the pan tall..did I fill the, too full..or not putting the bacon and sausage in the egg mixture before pouring in the tin cause the issues..the bottoms look awful.. kind shriveled up and uneven..help!! 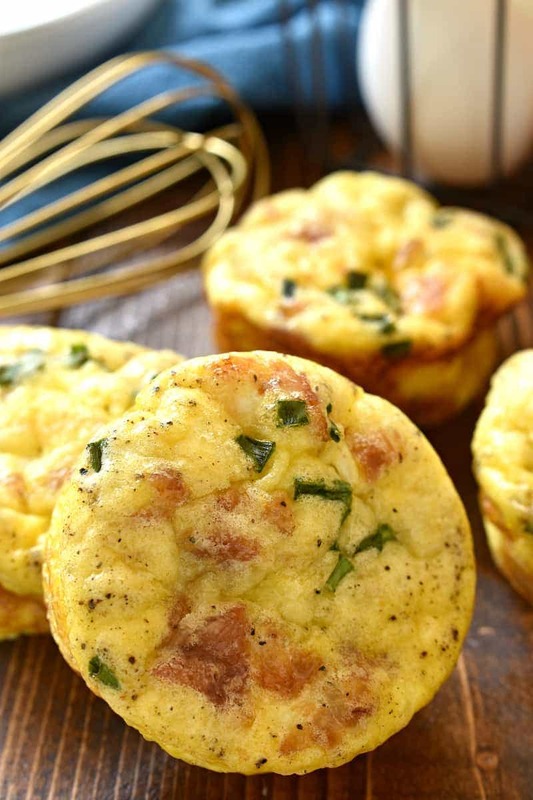 These egg muffins are awesome, great taste and filling. My son loves it. I make several variations…..really it is a very forgiving recipe. I sometimes add diced onions, tomatoes, sweet peppers and shredded cabbage. I also sub sardines for bacon, and the taste is yum!!! If you wanna add some carbs try cut out tortilla in the base of the pan. Made them but once they cooled sort of shrunk up. A bit ugly but she still liked them. Anyone have that problem? I did use paper cup liners. Could that have caused the problem? 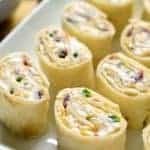 These are so easy and taste great I didn’t have all the ingredients so I improvised with some ham and green peppers and just for a little extra some onion… I now need to try it with the bacon and chives… they were amazing thanks for the recipe!!! I tried a similar recipe and they stuck so badly to my muffin tin, about half were gone!!! Any recommendations so they don’t stick? If oiling the cups (butter spread along the bottoms & sides or a spray oil) before adding the egg mixture doesn’t work you could try baking cups or parchment paper in the tin before adding the egg mixture. I just made this this am. There only thing I did different was leave out the onions ( because I didn’t have any) and put the mixture into a 3×9 casserole dish. My daughter (10y/o) loved it as well as I. 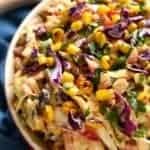 Great Keto recipe! I made this with turkey bacon and halved the recipe for a 6 cup muffin tin. All I have is Complex Lies Eggs, Milk, Cheese, and Bacon brand. Will this do? 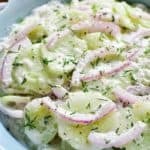 This one of my most favourite recipes. I’m not a breakfast first thing kind of person, but once I’m ready to eat something I’m usually on the road. I sure don’t want something from a drive thru, I want healthy. I have been making these for about 3 years now, and I switched it up a little by adding more bacon, (but of course, I am Canadian!!) old cheddar yes, BUT this makes it really incredible and amazing, also add 2 slices (thin slices, I use a carrot peeler) of FRESH PARMESAN cheese, place them like a cross + on top (AFTER) you pour your eggs!!! and OMG just try to keep them around to freeze….lol….I’ve read all the comments and can’t believe anyone has leftovers…first time I made these I ate 4 or 5 at once and I’m a small person!!! They are best right out of the oven, in fact they’ve barely had time to cool before I’m eating one!! hahaha…. I assume you’re supposed to spray the muffin cups with Pam, etc. before pouring in the mixture? Thanks for letting me know. I tried these once about a year ago. I’m making them again on Sunday, as they were delicious! I tried this Egg Muffin recipe for my family and they like it very much. So please keep sharing this type of blog. Can you use almond or soy milk? I’ve never tried it with almond or soy milk, but I would imagine either would work. I’ve never tried that, but I’m sure it would work. It might need some adjustments to baking time.